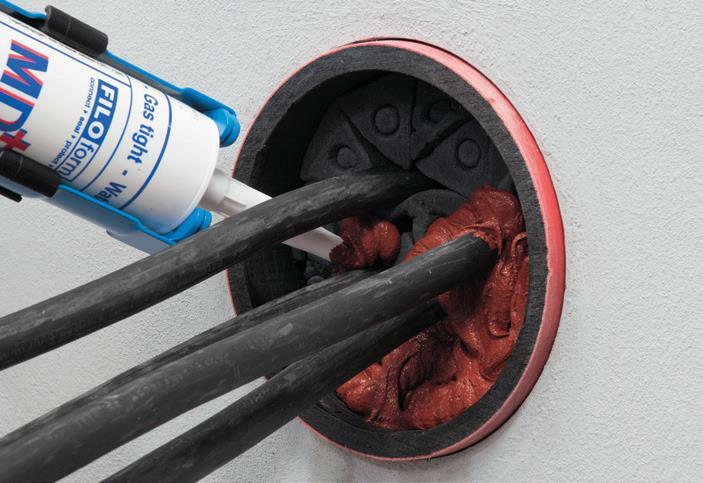 Filoform FiloSeal + is a duct sealing system that is a universal solution for sealing cables and pipes in ducts or bore holes and is suitable for sealing several cables or pipes contained in one duct and also allows re-entry of the seal to add or remove cables or pipes as required. FiloSeal + uses MD + sealant which is easily applied from a 310ml tube using a skeleton gun and is based on a silicon compound that cures with air (humidity). 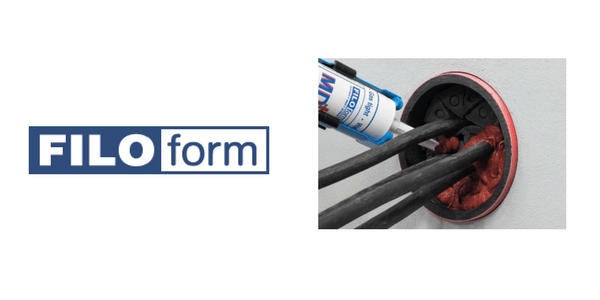 The unique design of the tri-flexible foam makes positioning and separation of the cables very simple while also providing cable separation and a backing for the MD+ sealant to be applied on. After application and full curing the thixotropic MD+ forms a plastic elastomer mass with special qualities effectively sealing and bonding, while providing a high level of durability. Resistant to, Petrol, Diesel, Ethanol, ASTM oil, LPG & Many more.